Community Training - Emergency Medical Training Professionals, Inc. 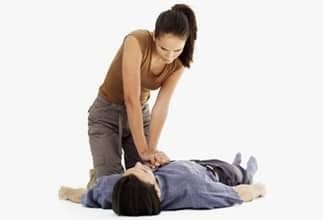 According to the American Heart Association (AHA), less than one-third of sudden cardiac arrest victims receive immediate CPR from bystanders. About 92 percent of sudden cardiac arrest victims die before reaching the hospital, but statistics prove that if more people knew CPR, more lives could be saved. Immediate CPR can double, or even triple, a victim’s chance of survival. Through a variety of programs, we are utilizing AHA courses to equip people and communities to act in emergencies and ultimately save lives.